Bob and I just returned from a great week of vacation! We spent part of the week at the beach and part at home and it was just wonderful to have a slower pace for a while. I really did enjoy it. Today was back to reality and work though!! 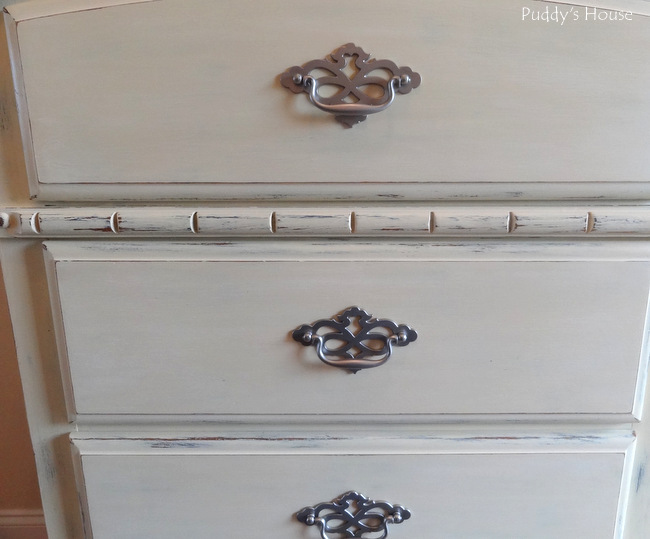 I finished this dresser up a little while ago, but it was hiding out in my basement workspace which isn’t good for photos. 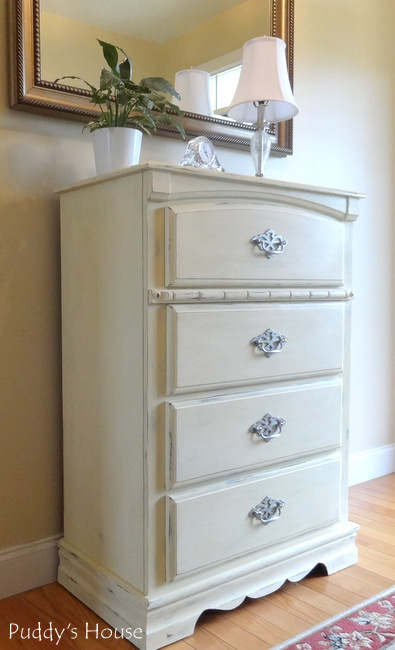 So, today we brought it upstairs for some pictures before it makes it way to my booth space at Thrifty Elegance. 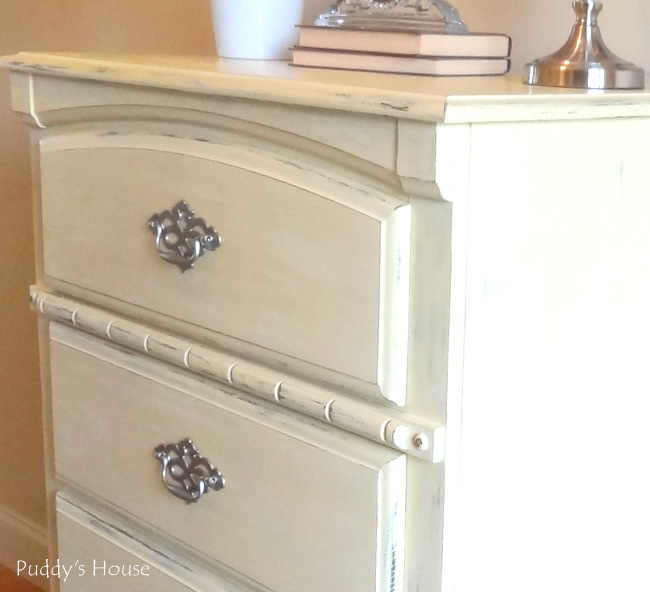 This dresser started out as your typical chest of drawers. It is very good quality furniture though. I got it from my friend at work as they were emptying out a relative’s home. I knew what I wanted to do with it right away. I removed the hardware and got to work. 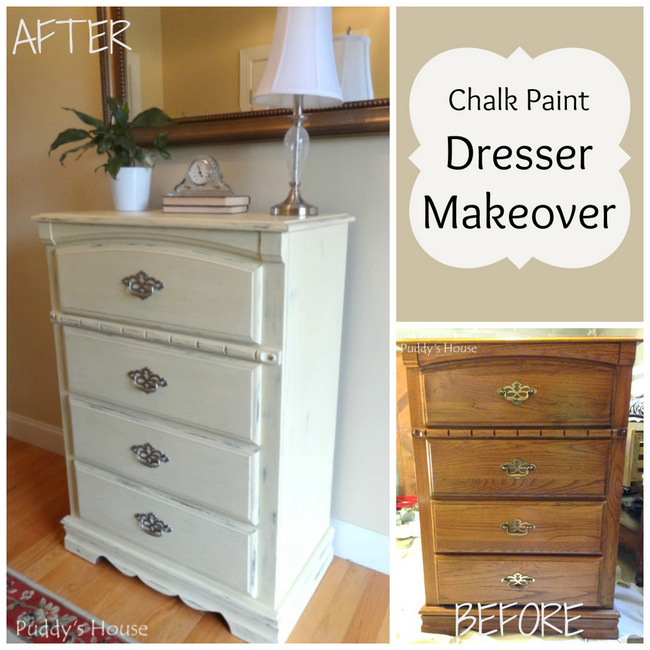 I started with a coat of Annie Sloan’s Chalk Paint in Graphite. 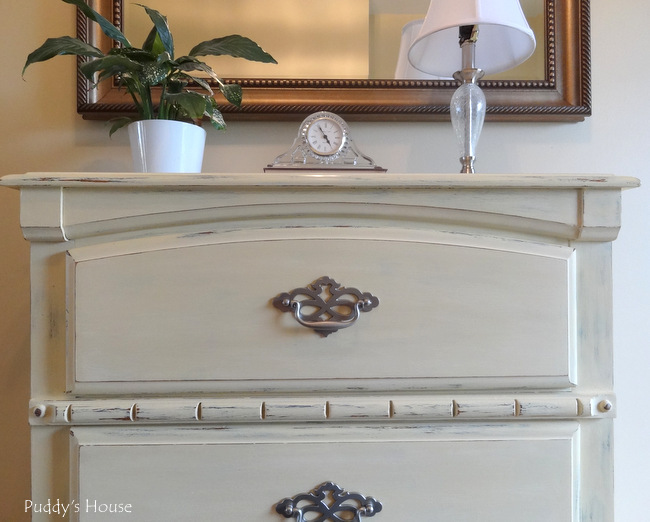 I put a thin coat of the graphite on the whole dresser…I didn’t have much of this color, it was just a sample pot that I had already used for another project. 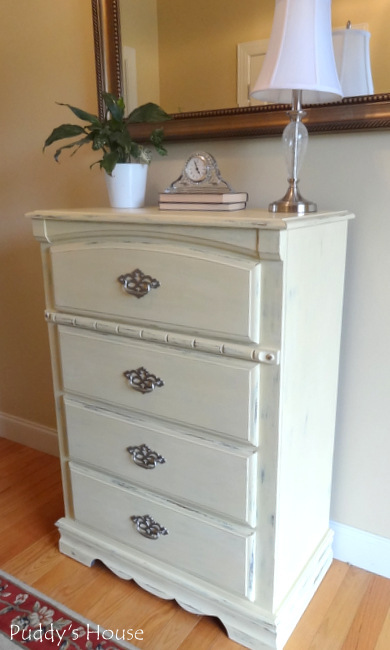 After the graphite dried, I applied 2 coats of Annie Sloan’s Chalk Paint in Cream. Sorry for the lack of in process photos…I somehow overlooked taking any! After the Cream dried, I took some fine sandpaper and distressed in certain areas. 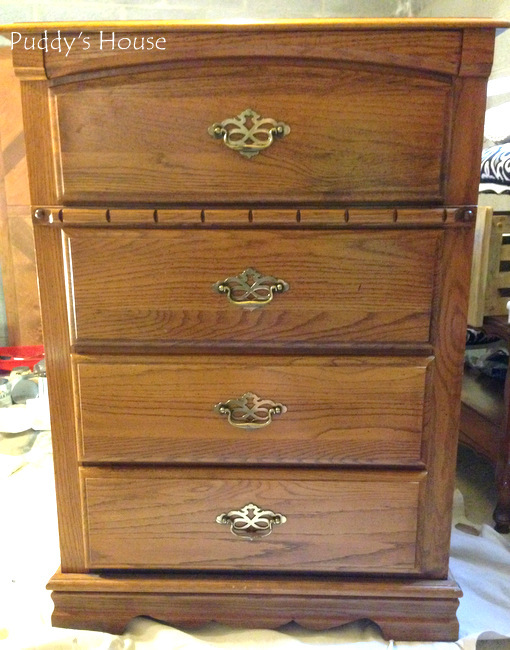 I cleaned all of the sanding grit from the dresser and then applied a coat of Minwax’s Finishing Paste in natural. It was the first I used this wax, and I liked it. It went on quite easily and gave a very nice finish when I buffed it with a clean t-shirt. The hardware got a few coats of Valspar spray paint in Brushed Nickel. After that dried, I reattached the hardware and it was complete. It turned out just as I envisioned. What do you think….do you like the fresh new look?